Darren Freeman has secured the services of midfielder Michael Dome-Bemwin on a year's contract. 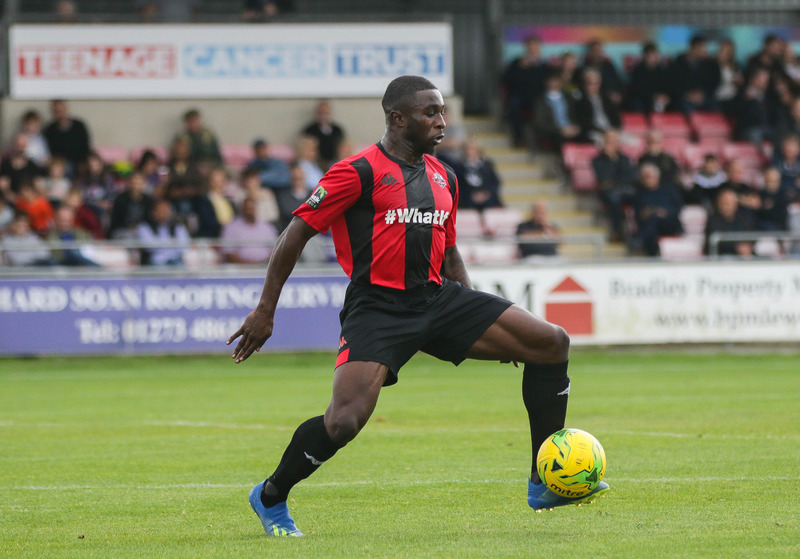 Michael impressed in pre-season and was signed on a non-contract basis ahead of the season's opener against Carshalton. His early season form has continued to impress both fans and management alike, convincing Darren to sign the young midfielder. "Michael's been fantastic since he came here," said Darren. "Going forward, he's going to be a very important part of what we're trying to do." Leaving the club is Nassim Dukali. Nassim signed in the summer, but has struggled to hold down a place in the first team since the start of the season. Darren thinks it's a case of constrasting styles. "As a manager, I felt that the way we played didn't suit him," said Darren. "We didn't want to stop a young lad progressing. We told him we thought it was a good idea that he went and played somewhere else." Nassim has since signed for Thamesmead Town and we wish him the best for his future career.